When one is travelling for four months, one must do laundry. Because it’s impossible to pack four months worth of clothing if you don’t wash any of it. 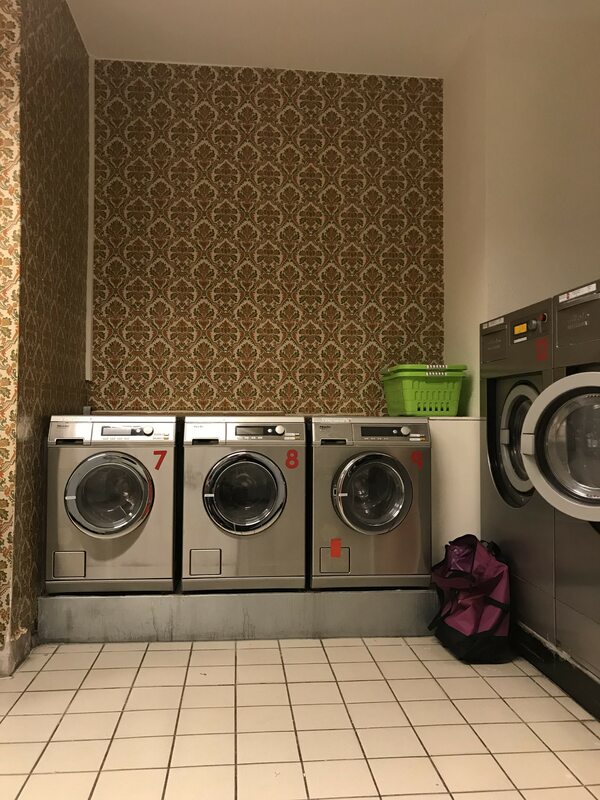 We stayed in a lot of Airbnbs that had laundries, which was super helpful, but in some cities, we needed a laundromat. And luckily for us, because so many people can only afford to live in small apartments, Europe has plenty of them. Here’s the highlight reel – hopefully it help you when you need clean clothes on your travels… or at least give you a Monday morning laugh. Pros: Easy to operate with instructions in English as well as Spanish. You can buy laundry detergent there if you don’t have your own. And there’s a small coin-operated coffee machine in there. Cons: The coffee machine didn’t work. Pros: The washers and dryers all have names (Bruce, Marie, Frank, Cindy). The staff are quick to help foreigners who can’t read the instructions. You don’t need to add detergent – it’s already in the machine and included in the price. You can buy food and drinks there – alcoholic drinks. At 10am. Because it’s an actual bar. Cons: The instructions aren’t in English so you can’t pretend to know what you’re doing. Pros: Lots of machines available. A few decent restaurants nearby to eat at while you wait. A small store selling alcohol and snacks a few doors down if you visit at night. A café on site if you visit during the day. Apparently run by some eccentric German twins who we didn’t have the pleasure (terror?) of encountering. Cons: Instructions were a little vague (but by that point in the trip, we’d worked out they’re all the same). 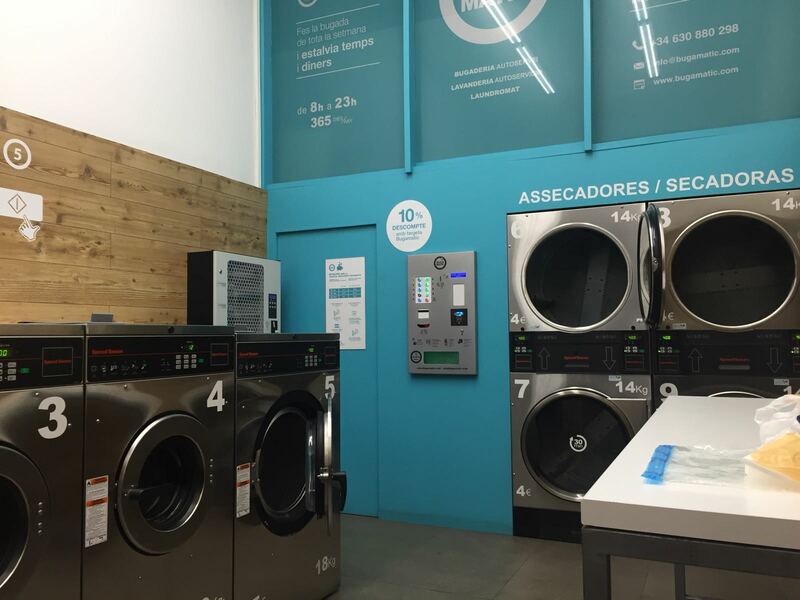 Pros: Had a few extra large machines for giant loads of laundry. A few cafés nearby to supply caffeine and snacks while you wait. Cons: Not many machines, and not super cheap, but nothing in Venice is. 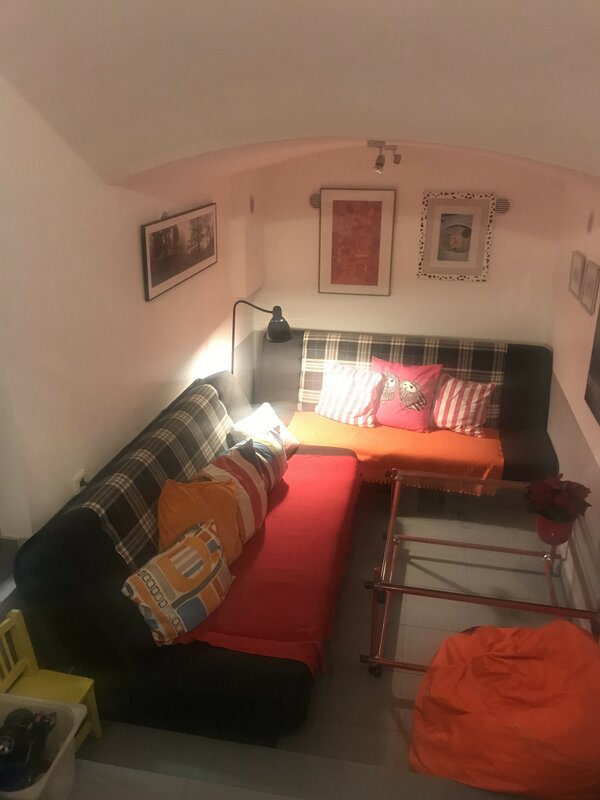 Pros: It was like an apartment – there was even a couch and beanbag lounge with books and toys. Free hot drink for every customer. Free wifi. Computers available for use if you attend sans smart phone. Great café a few doors down for sandwiches while you wait. Cons: It was like a sauna in there – in minus 2 degrees Celsius, I sat in there in a singlet, sweating bullets. Pros: Heaps of machines. Easy to operate. Supermarket and free public toilets across the road. Café close by for caffeinating while waiting. Cons: We got yelled out for eating a bag of chips while we waited for our laundry to dry by a grumpy little Austrian lady.